Well, it’s October 2016 already, and that means more stock picks are on the way. And since there were so many stocks that closed out September with a bang, I’m excited to share a few big opportunities with you. And by big, I mean big-cap. 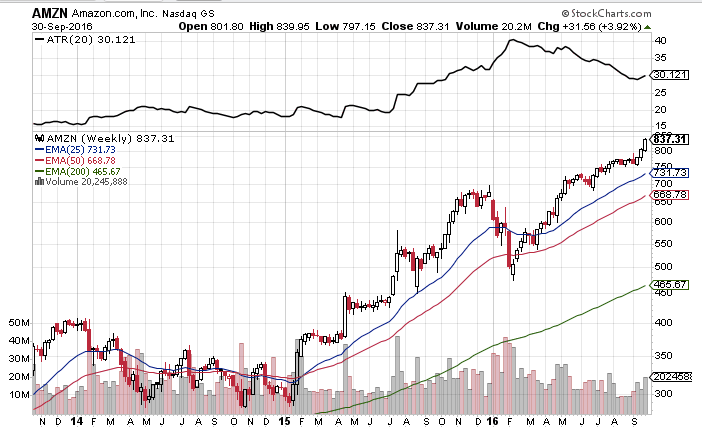 There are some very large companies pushing to new highs. 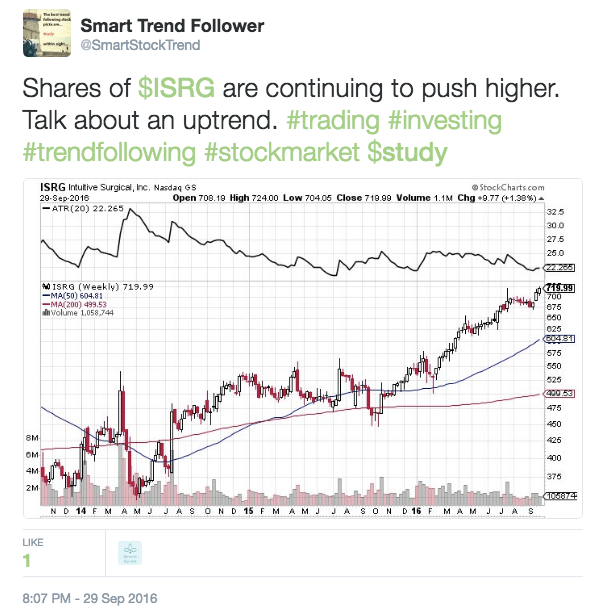 ISRG is a stock pick I first wrote about in early July. Since then, shares have continued to push higher. 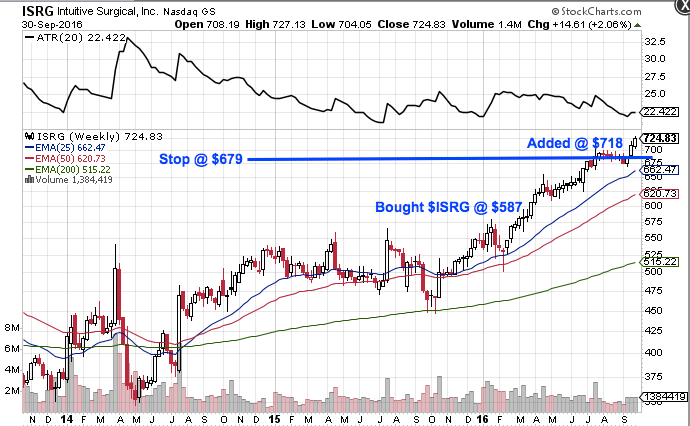 If you follow me on Twitter, you’ll see I shared a chart of ISRG. At time of writing the stock is up another $5 from when I posted this chart. Keep in mind, that’s a weekly chart you’re looking at. 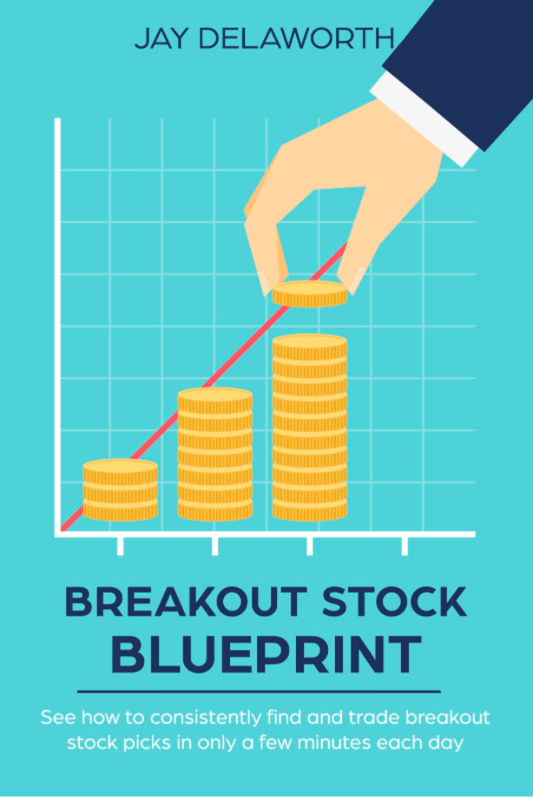 The point is, you can make money owning stocks for weeks at a time without trading too much. One of the beauties of trend following trading is you can have control of your investments but you don’t need to be sitting in front of a screen all day. 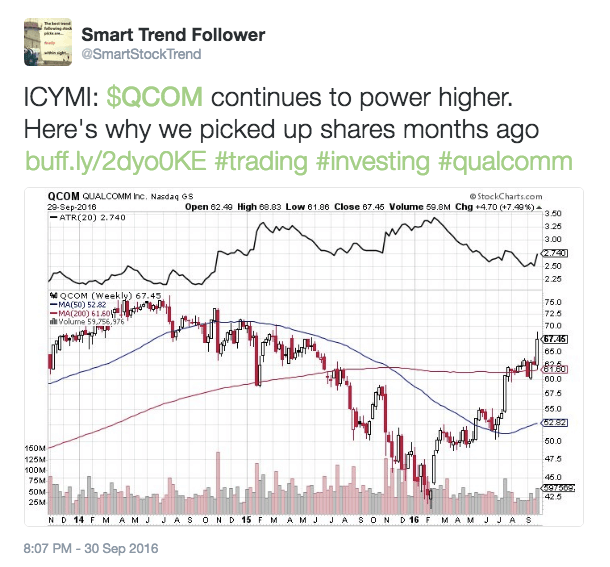 QCOM, an idea that I first featured over 4 months ago, continues to be a big performer. Given the strength of this candle and the big buying volume, I would be surprised to see this reverse lower. I even mentioned this on Twitter the other day. It doesn’t get much easier than that folks. If you aren’t making money in this market it’s not for lack of opportunities. If i were entering AMZN I’d do so with a stop about $60 below entry price. But that’s just my personal opinion. Finally, AOS is also on my radar again. I’ve been long this unique company for some time and am looking to add more on a sustained breakout. 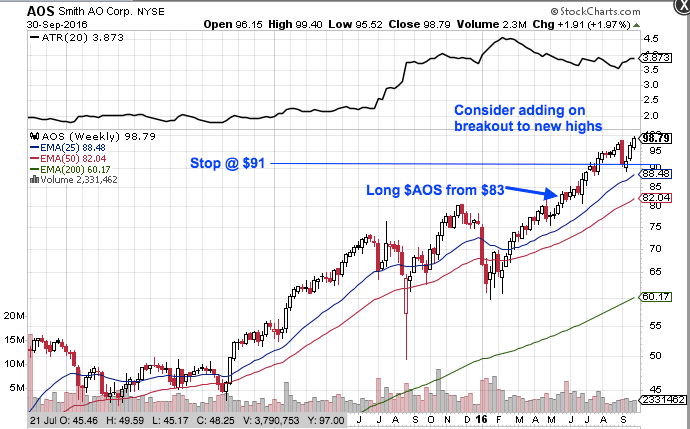 Here’s a free detailed analysis of AOS that you can read on Seeking Alpha. And the chart below shows you how I’m managing my position to protect profits and add-on strength. Again, this is just my personal approach but you might find it informative. So there you have it. 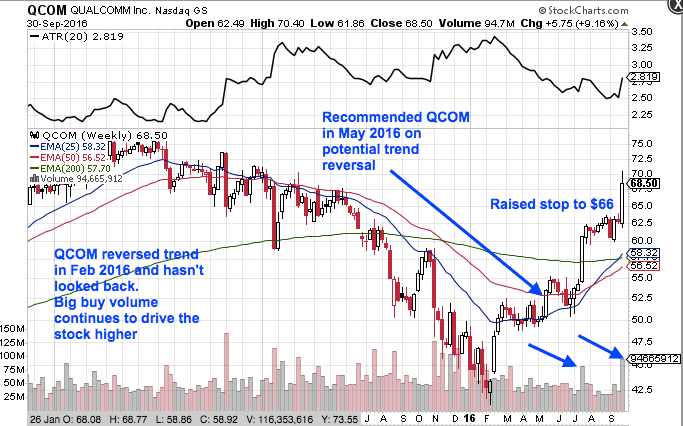 Those are currently some of my favourite Stock Trading Picks for October 2016. Of course, we can never know what the trading week ahead will hold. But it can pay to be prepared. 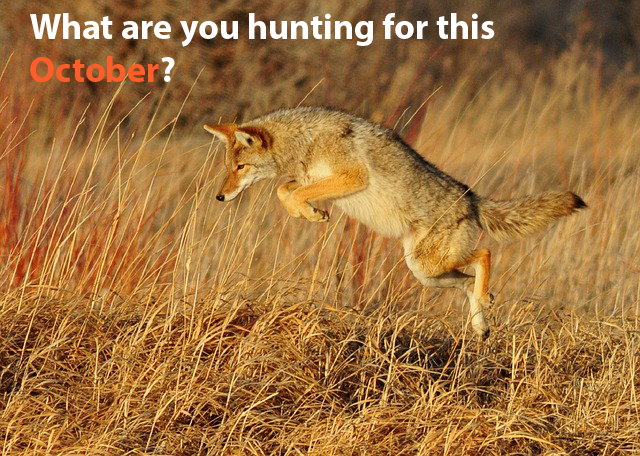 Now let me ask you, what stocks are you trading this October? And for full disclosure I’m long everything shown above except for AMZN (due to already being fully invested).